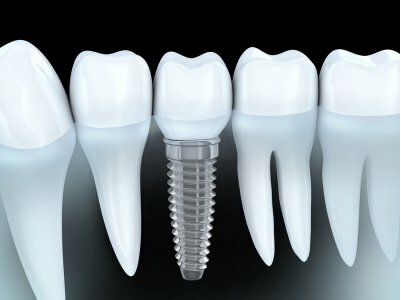 A cosmetic dentist offers many different techniques for teeth whitening. As you will learn in this video, how tooth whitening works depends on the procedure you select. As your cosmetic dentist will explain, over-the-counter teeth whitening products rely on abrasive scrubbing formulas. Similar to teeth cleanings, a whitening toothpaste removes external surface stains from your teeth. With professional teeth whitening, a cosmetic dentist is able to use high-powered bleach to brighten your smile by multiple shades. Professional teeth whitening is safe, affordable, and painless. Glenwood Premier Dental is pleased to offer professional teeth whitening. Call a cosmetic dentist near Hazlet at (732) 264-4477 to find out if teeth whitening may be right for you. Dentists frequently sees patients who are suffering from advanced periodontal disease, also known as gum disease. Otherwise known as a periodontist, this kind of dentist specializes in treating gum disease. This dental disease occurs when a sticky bacterial film called plaque accumulates on the teeth and gums. If left untreated by a dentist, the first stage of gum disease can lead to a more severe stage, which can lead to red and bleeding gums. Periodontal disease also causes tooth loss. Keep reading to find out tips from a periodontist on how to save your teeth from periodontal disease. As your dentist will advise you, good oral hygiene is key to preventing gum disease from occurring in the first place. Superior oral health begins at home. A periodontist advises patients of all ages to brush twice per day with fluoride toothpaste and floss each night before bed. Regular teeth cleanings and dental exams are also essential. Some people are more likely than others to get periodontal disease, and knowing your risk can help you achieve healthy teeth and gums. For example, individuals who suffer from diabetes are more likely to have gum disease. When diabetic symptoms worsen, gum disease often worsens, as well. Age, smoking, and diet can also increase your risk. If you are at a higher risk, make sure to tell your periodontist about your medical history and habits. Finally, visiting a periodontist regularly can save your teeth and gums. If gum disease is detected in its early stages, its painful and damaging side effects can still be reversed. A periodontist can detect gum disease during routine dental exams and prescribe non-invasive treatments. 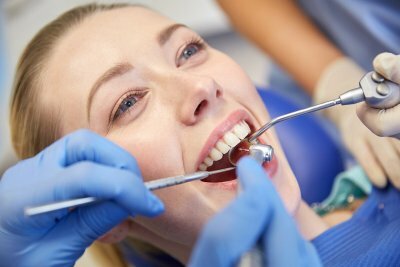 Glenwood Premier Dental is pleased to offer the latest techniques in treating gum disease in Hazlet, including through laser dentistry. To speak to a periodontist or dentist, call us at (732) 264-4477. We can schedule a consultation to discuss our services and create a customized treatment plan for you. When you visit a laser dentist, you can count on benefiting from one of the latest and safest medical technologies around. Laser dentistry involves using a laser to precisely target affected tissues and teeth. A laser dentist can perform a wide range of procedures, including gum disease treatment, a root canal, cavity fillings, and teeth whitening. Keep reading to learn how you can benefit from laser dentistry, including that it allows for virtually painless procedures, offers increased accuracy, and requires fewer dental appointments. 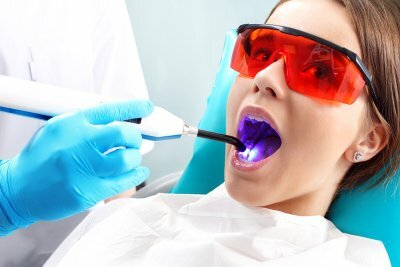 Thanks to laser dentistry, a dentist can now perform many different kinds of techniques with minimal or no discomfort for the patient. Traditional dental drills often cause pain because they generate heat and pressure. Laser dentistry generates no heat or pressure, which means everything from a root canal or a filling can be done either pain-free or with fewer shots. When a laser dentist performs procedures, he or she can use significantly less anesthesia, which means less recovery time for patients. A laser dentist also offers improved accuracy. Drills can damage surrounding healthy tissue and teeth. Unfortunately, that also means drills cause bleeding, swelling, and pain that lasts long after the dental procedure is over. With a laser, a dentist can remove gum tissue and tiny pieces of a tooth without affecting surrounding areas. Laser dentistry even allows a dentist to treat gum disease without surgery. With laser dentistry, a dentist can perform many procedures in a single dental appointment. Because patients no longer have to wait days or weeks to heal, they can schedule multiple dental procedures in just one day. With fewer appointments, laser dentistry can accommodate any busy schedule. Do you want to know more about how laser dentistry works? Call Glenwood Premier Dental at (732) 264-4477 to speak to a laser dentist today. Our dentists serving Hazlet take pride in providing the highest standard of care to each patient. Whether you have gum disease, need to schedule family dental exams, or are interested in a cosmetic procedure like teeth whitening, call us today.